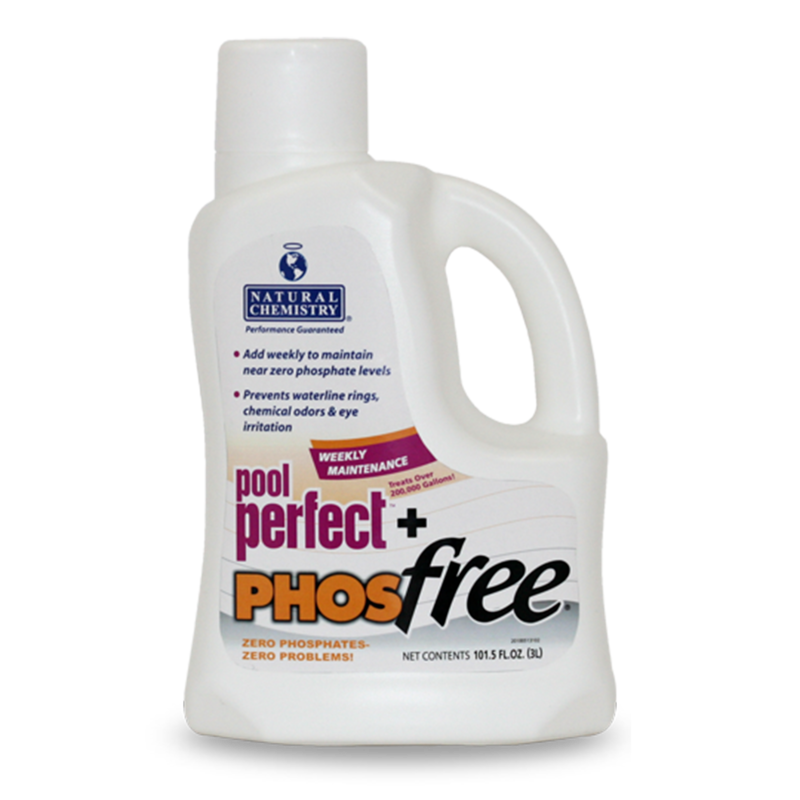 Pool Perfect + PHOSfree is a weekly maintenance product that reduces phosphates and non-living organic waste in pool water. 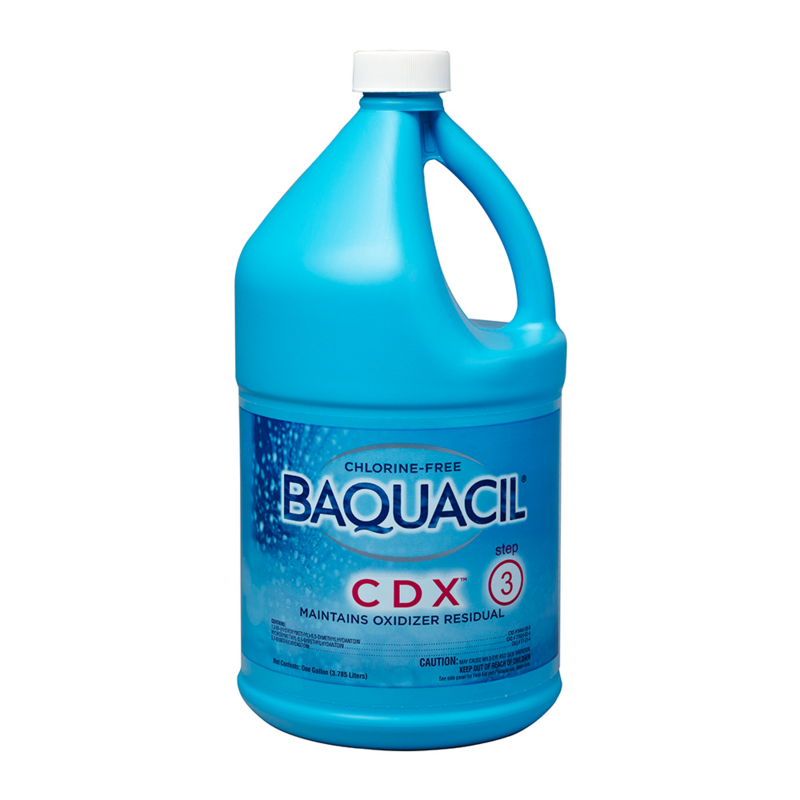 Use it to make your water feel soft and silky while preventing problems such as waterline rings, non-living organic staining, surface oils, and phosphate build up. 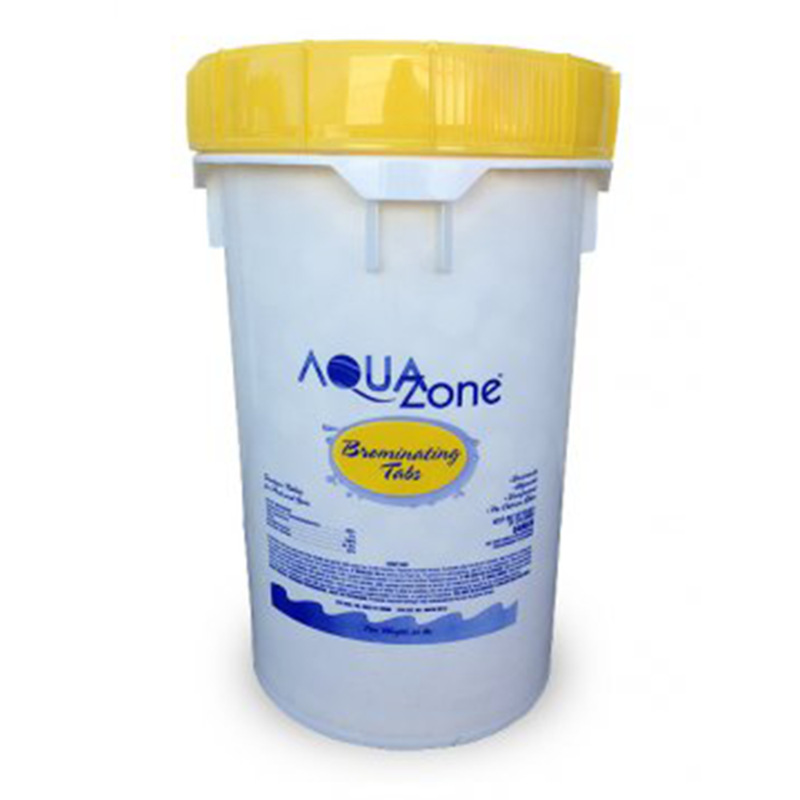 Bromine is a highly effective sanitizer for swimming pools. Unlike chlorine, bromine does not produce chloramines, most commonly known for the strong odor it produces. 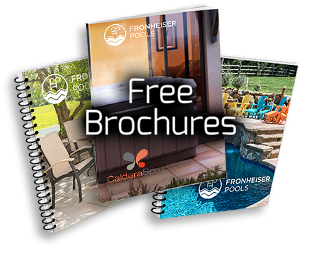 Bromine also is more user friendly than chlorine because it causes less irritation to the eyes and skin. Bromine is typically dispensed in-line with an automatic feeder, making it very effective and easy to use. 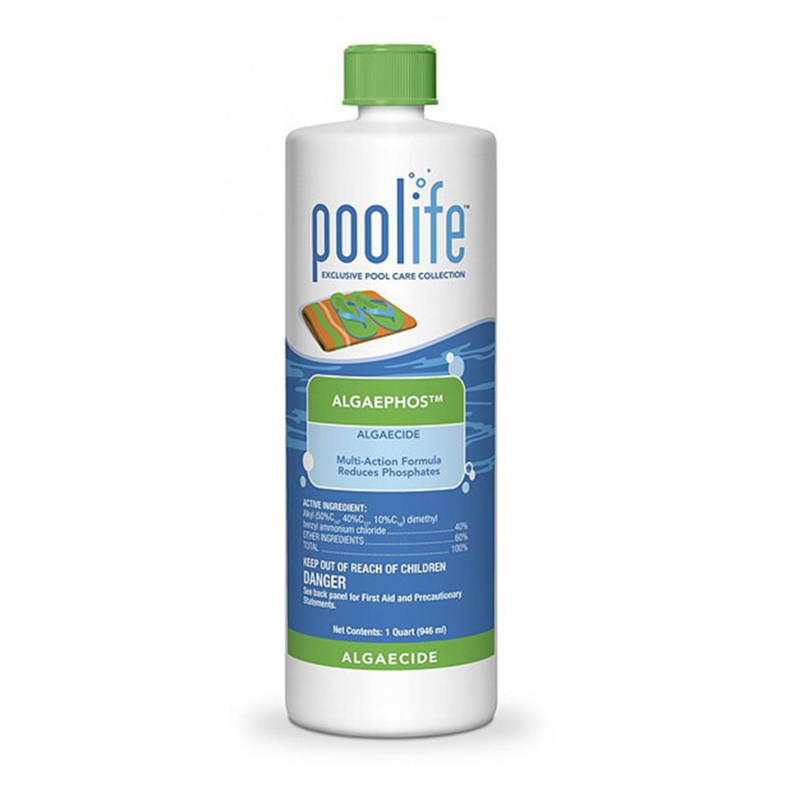 Poolife® AlgaePhos™ Algaecide is a multi-action formula that prevents algae growth and reduces phosphate levels in your pool water. Compatible with any type of pool sanitizer. 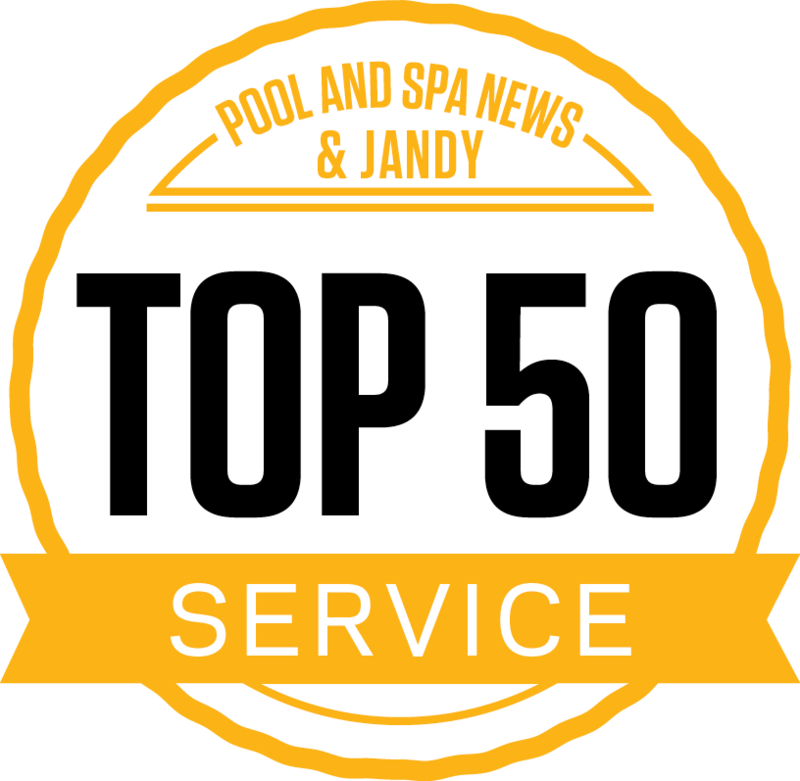 This non-foaming algaecide is used to control the growth of algae in swimming pools, exterior spas, whirlpools and hot tubs. Treats green, black and yellow algae. 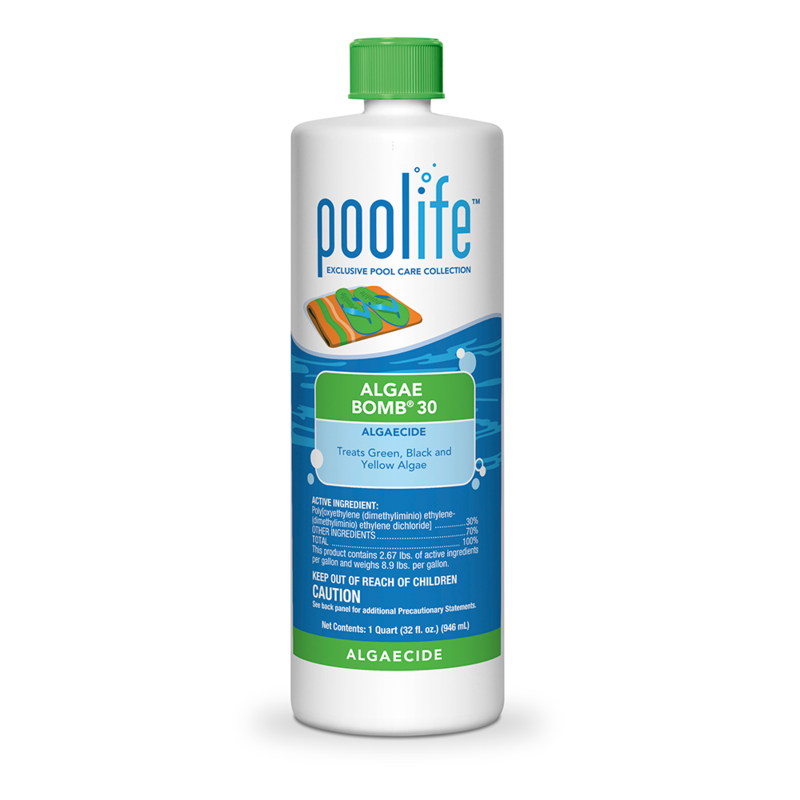 This algaecide is safe and effective for all pool types.